5 year warranty against fabric and manufacturing defects. SKU: N/A. 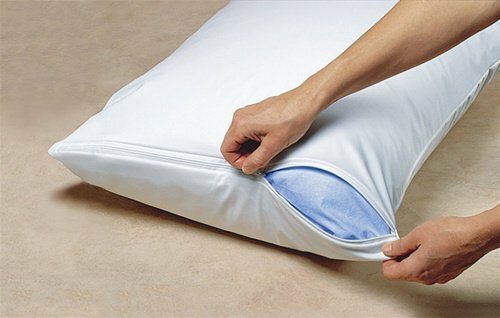 Categories: Pillow Protectors-Waterproof, Bed Bug Protectors For Mattresses, Bed Base or Pillows, Dust Mite & Allergy Protectors. 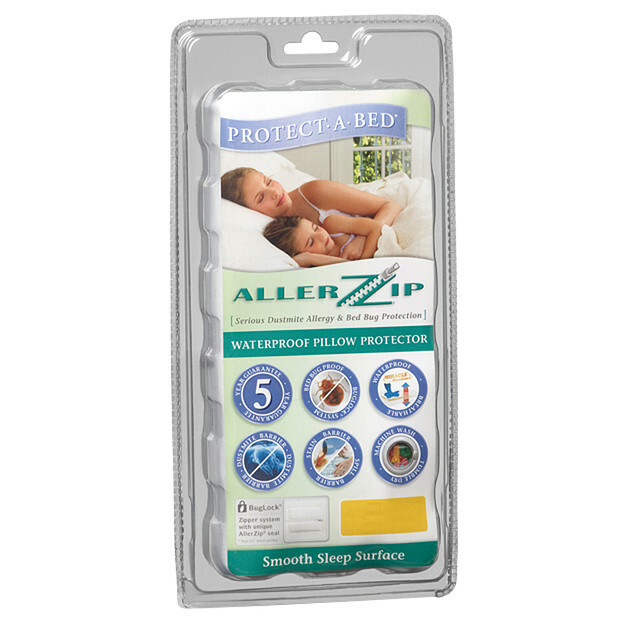 ALLERZIP Smooth Pillow Protector: Total Protection From Bed Bugs, Dust Mites, Perspiration Stains. The perfect solution for Asthma and Allergy Sufferers. Keep bed bugs, dust mites & allergens out of your pillows and Provide a healthy, allergy-free sleep area Where You need it most. These protectors-have a smooth surface of sleep & breathable waterproof backing with zipper closed. 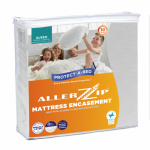 Optimum protection for bed made our ALLERZIP fully encased mattress protectors. 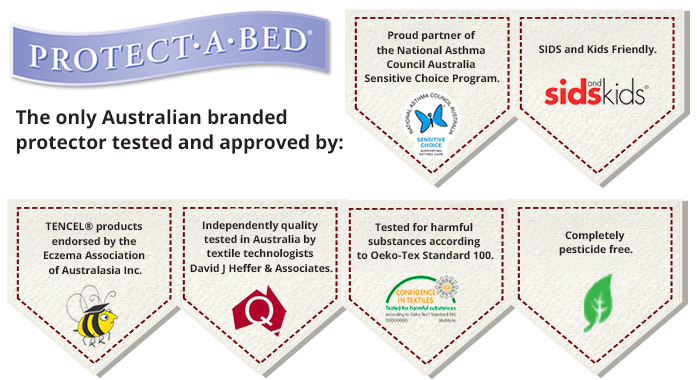 The Protect.a.Bed ALLERZIP pillow protector is the only protector tested & Approved by the National Asthma Council’s Sensitive Choice Program, Sids for Kids, Confidence in Textiles and the Eczema Foundation. 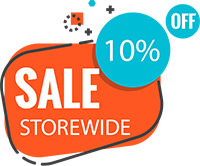 • Ultimate bed bug dust mite allergy & protection for pillows. I am extremely happy with my mattress & pillow protectors. I bought them for two reasons, one being because I was afraid of bed bugs, we had them once five years ago and as a result I am rather paranoid. The bed bug experience was quite traumatic, I had to throw out my mattress, so I thought the price of a protector to be nothing compared to replacing a whole mattress!!!! I also want to protect my son from dust-mites as he sometimes has respiratory issues and I like knowing that he is as protected from dust mites as possible. I am extremely happy with my purchase. The quality seems excellent and they do seem almost unbreakable and stain proof. I would recommend them whole-heartedly to anyone. I am very happy with the quality of my bed protectors. They all fit perfectly. I was impressed with the responsive service and prompt delivery. I have recommended you to family and friends.